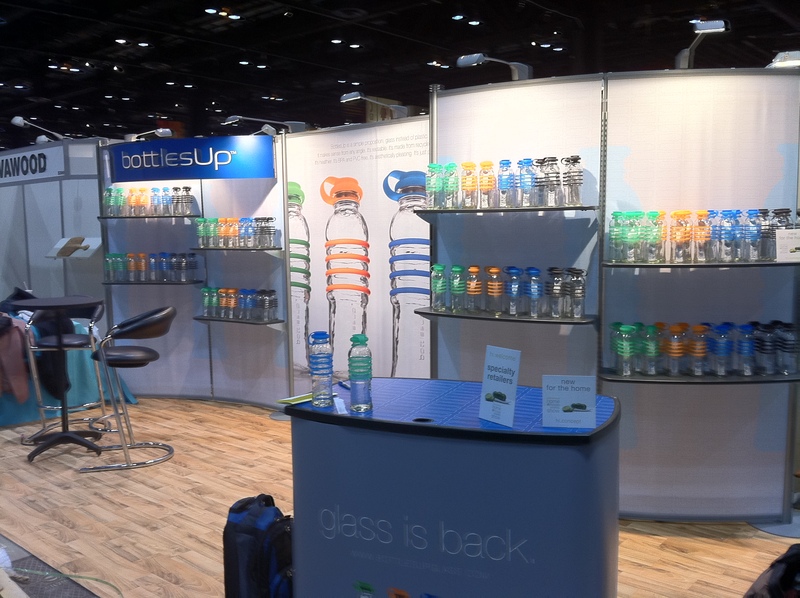 Today is the official launch of BottlesUp, a company more than 2 years in the making and a product that has the beautiful dual story of design and environmental responsibility. Did I mention we have the lowest carbon footprint in the bottle industry? We do. We’re located in a special invitation-only section called Discover Design, it’s 70 products that the association selected for to highlight their innovation, design and progressive efforts. IHA describes the Discover Design section as, “the area will highlight inspired design from around the globe and feature companies, many of whom are attending the Show for the first time, with creative products that push the envelope of the design spectrum.” Yes, that’s us they’re talking about. Again, we felt like a small fish in a very big ocean, yet, we knew we had a product and a story to share. And today was that day to share it all. So here is our booth in iPhone photo form, our first ever trade show – I believe our introduction makes a handsome first impression. We made terrific connections with retailers who can bring our bottles to you. The bonus, every person we spoke to loved the bottles, loved the story of design and function and wanted to hear even more. It’s nice to be heard, welcomed and valued for the story you tell and the product you offer.